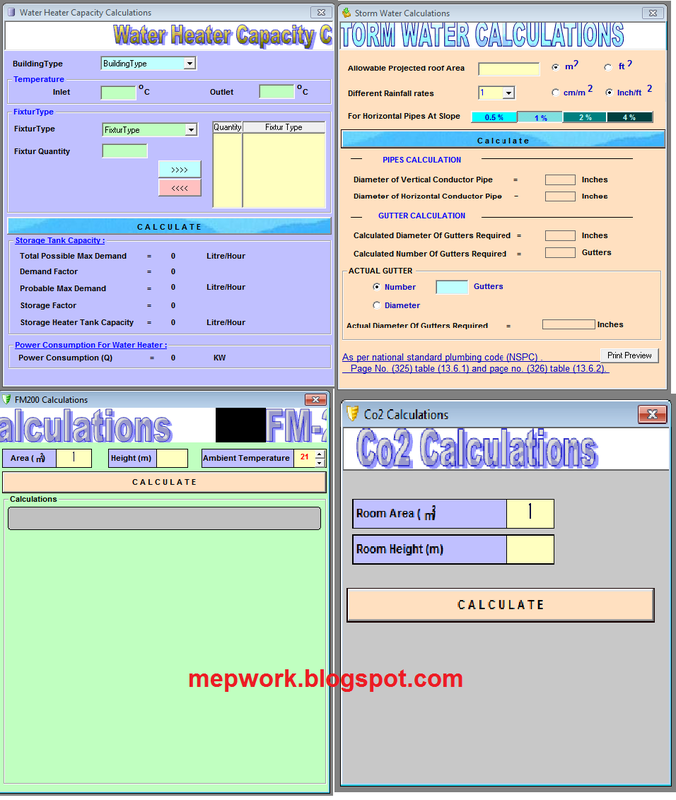 Download Plumbing and Fire Calculator. It is an easy and simple to use software , and it's very important for those mechanical engineer who work in the field of gas firefighting systems or those who works in the field of domestic water supply and drainage. 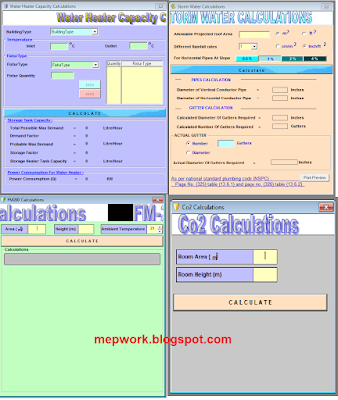 The calculator is simple and easy to use, just select from the tool bar which category you want. From Plumbing chose " Rain Water" for rain / storm water calculations. From Plumbing chose" Hot Water" for water heater capacity calculations. From Fire chose " FM 200" for FM 200 total flooding system calculations. From Fire chose " CO2" for CO2 gas system calculations. Thank you so much Ahmed, I started now to follow your blog. All posts are helpful. Hope you can share also the HAP software if you have.. Thanks. Thank you Tasawer Hussain ! Thanks a lot Engineer AHMED BADRAN for your effort and help .. Thank you a lot Engineer Ahmed Badran.. This is a great pool of resources for budding building service Engineers. God bless you..